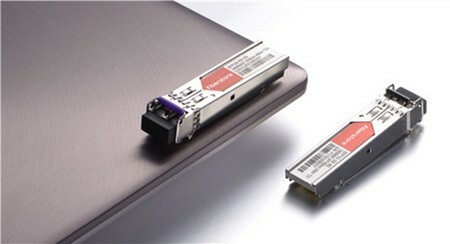 1000BASE SFP transceivers have been widely used in 1G Ethernet, telecommunication and other applications. They provide a full range of 1000BASE SFP transceivers types to meet the different requirement for varied transmission distance based on singlemode or multimode fiber. They can be interfaced with different connectors, such as LC, SC, ST, FC, etc. 1000BASE-SX SFP and 1000BASE-LX SFP transceivers are two different types of 1000BASE SFP LC transceivers. Knowledge of difference between SFP LC SX and SFP LC LX transceiver would be covered. LC SFP transceiver means 1000BASE SFP transceiver with LC connectors, which includes 1000BASE-SX SFP, 1000BASE-MX SFP, 1000BASE-LX SFP, 1000BASE-EX SFP, 1000BASE-ZX SFP, 1000BASE-EZX SFP, 1000BASE-BX SFP and CWDM/DWDM SFP transceiver modules. Different protocols have varied requirement for transmission medium, operation temperature, supporting DOM or not, and etc. 1000BASE-SX SFP is designed for transmission within near area, while LC SFP LX transceiver for long-haul transmission. The main difference between SFP LC and SFP SC transceiver lies in connectors. LC and SC are two different connectors, and they are different in size, handing and history of connector. LC is half size of SC. And SC is a true “push-pull-connector” and LC is a “latched connector”, although there are very innovative, real “push-pull-LCs” available which have the same handling capabilities like SC. Moreover, the LC is the “younger” connector of the two, SC is wider spread around the world but LC is catching up. SC is generally used with GBIC, LC is used with SFP transceiver. 1000BASE-SX LC SFP transceiver is a fiber optic Gigabit Ethernet standard transceiver for operation over multi-mode fiber using a 770 to 860 nanometer. It works at 850nm wavelength and used only for the purposed of the multimode optical fiber with an LC connector. The link lengths of 1000BASE-SX SFP can be up to 500m with 50 microns multimode optical fiber and it can achieve 220m with 62.5 micron multimode optical fiber. This SFP LC module is highly favored by intra-building links in large office buildings, co-location facilities and carrier neutral internet exchanges. SFP Ethernet networks. LC SFP LX transceiver uses with long-wavelength transmissions (1270-1355nm) over long cable runs of fiber optic cabling. This LC SFP module can run over both singlemode fiber and multimode fiber with a distance of up to 5km and 550m, respectively. And the SFP LC port can be connected by fiber patch cable with LC connector. 1000BASE-LX LC SFP transceiver mainly deployed for connecting high-speed hubs, Ethernet switches, and routers together in different wiring closets or buildings using long cabling runs, and developed to support longer-length multimode building fiber backbones and single-mode campus backbones. 1000BASE-SX SFP LC transceiver is for multimode fiber cables for less than 550 meters. The LC SFP LX transceiver is for singlemode fiber cables up to 10km, and it also supports the multimode. 1000BASE-SX LC SFP transceiver standard was developed to support lower cost multimode fiber runs in horizontal and shorter-length backbone applications. The LC SFP LX transceiver standard was developed to support longer-length multimode building fiber backbones and singlemode campus backbones. LC SFP LX transceiver costs more than 1000BASE-SX SFP LC transceiver. Both 1000BASE-SX LC SFP transceiver and LC SFP LX transceiver are 1000BASE SFP transceivers with LC connector, but they are designed to support different transmission lengths. You can select a proper one according to your actual requirement. For cheap SFP LC transceivers with high quality, FS.COM is a wise choice. By the way, they provide customizing service, you can customize the module model of compatible major brands you want there. Related Article: Why Not Use Third-party Dell SFP Transceivers for Your Dell Switches?